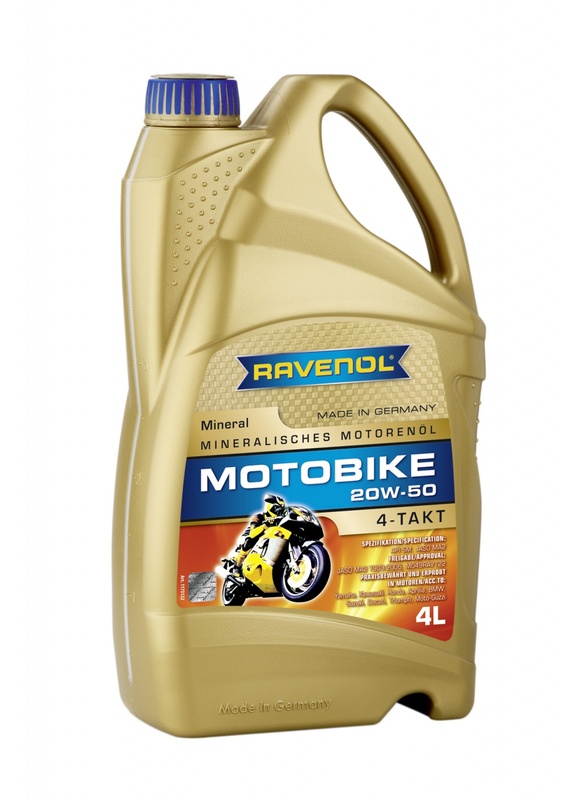 RAVENOL Motobike 4-T 20W-50 is a mineral-based multigrade engine oil especially formulated for 4-stroke motorbike engines. The high quality formulation and specially balanced additive package ensures compatibility with all components, including wet clutch and oil lubricated couplings, and offers optimum lubrication throughout all conditions and temperatures. It has an excellent lubricating film adhesive capacity and a very good shear stability as well as an excellent cleaning power and a high aging resistance. RAVENOL Motobike 4-T 20W-50 is suitable for all motorbikes where a lubricant of the specification SAE 20W-50 is required. Especially recommended for older, larger-engine bikes, and many high performance classic machines which demand this grade of oil.